The South Arm Kitchen was conducted in the Gilmore Park Church kitchen in summer due to South Arm kitchen was used by the summer programs. 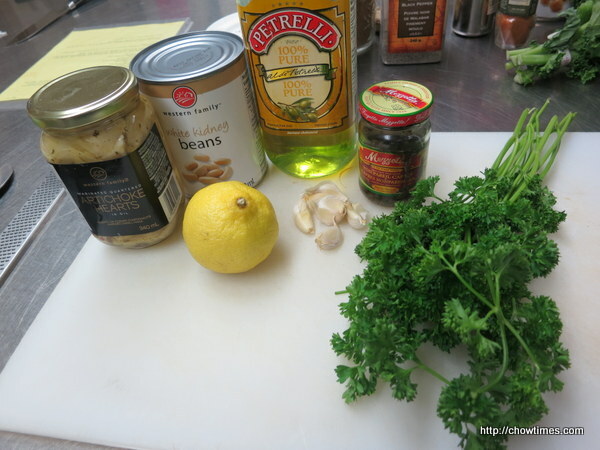 In this kitchen, we made a Vegan Artichoke Dip. We snacked on the dip along the way while making the rest of the dishes. 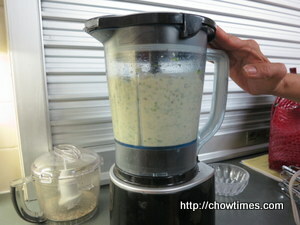 It has a very refreshing tangy flavour to it. 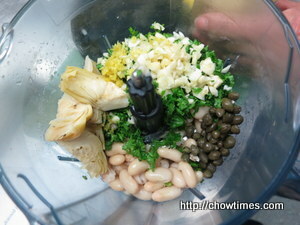 Place beans, artichoke, parsley, garlic and capers in a blender. Drizzle in lemon juice and olive oil. Process until well incorporated but still a little textured, about 30 seconds or more. 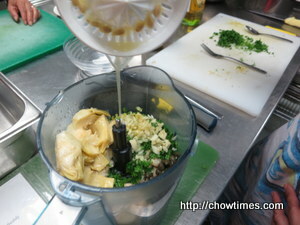 You may add a little water to get the consistency of your liking. 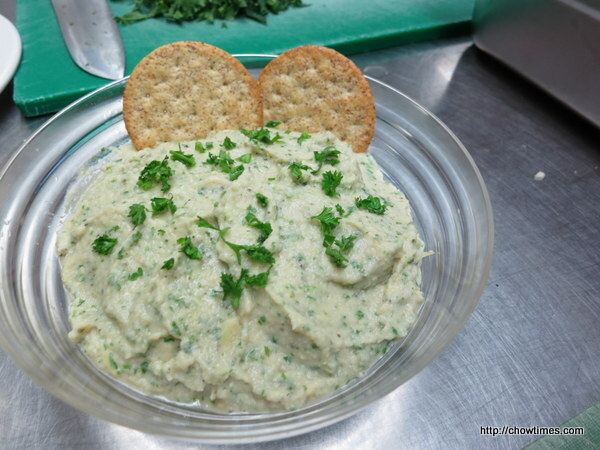 Warning: you might have bad garlic breath after eating this delicious dip.